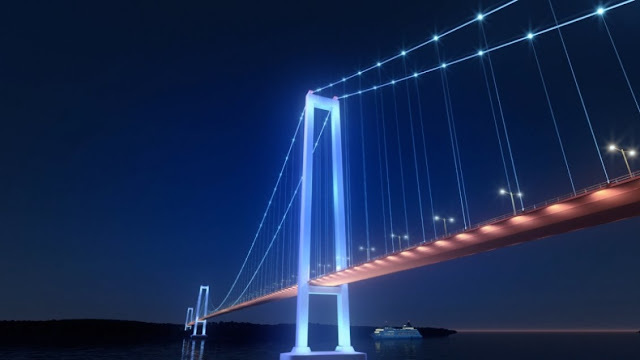 Puente Chacao (Chacao Channel Bridge) is the project already in course to build what will be the longest suspension bridge in South America. Once finished, with its 2,750 meters long, the viaduct will link the Chilean continental territory with the Greater Island of Chiloe, in the Region de Los Lagos, also known as Chile's Tenth Region. The construction, in charge of the giant South Korean Hyundai, began in February 2018 and is expected to be completed in 2023. It is worth mentioning that in the 2016 version of the Be Inspired Awards, granted by Bentley Systems since 2004, the Chacao project was awarded as the World's best Engineering Work. The ceremony was held in London, of 300 projects, the finalists were 2 Chinese bridges and the Chilean project, this being the first time that a national work is awarded, usually the prizes are given to Megaprojects in Asia or Europe. Chacao Bridge will withstand winds of more than 240 km/hour, strong marine currents, an earthquake of at least 9 degrees on the Richter scale (in 1960 this part of Chile endured the largest mega-earthquake recorded in history since records began). The submarine mountain known as Roca Remolino (Whirl Rock), located in the middle of the channel, will play a preponderant role in the construction of the Megaproject, because its resistance proved to be the most propitious place to place the central pillar of the viaduct. Without the rock formation, it probably would not have been possible to undertake the construction because of the high cost that it would have represented. Its name of Remolino, is precisely due to the current produced there with the change of the tides, in ancient times this underwater massif caused many shipwrecks and deaths. The South of Chile has places of great scenic beauty and tourism represents one of the main sources of income for the Region, the height of the Chacao Bridge of 59 meters compared to the highest tide level, will allow the channel to be navigated at any time and by almost all ships, tourist and coastal trade. Ships over 55 meters in height should use alternative routes - such as Boca del Guafo - to access or leave the area, while those with heights between 50 and 55 meters should only wait for the most favorable tidal conditions for the crossing (Source: https://revistamarina.cl). It is estimated that the lifetime of the bridge will be around 100 years. According to the online newspaper https://laopiniondechiloe.cl the viaduct would cause savings for the Chiloe Archipelago of more than 800 million dollars for the next 45 years (without considering potential savings in tolls and ferry crossings) and would also come to complement projects such as the reactivation of the Quellon Megaport, with a profitability of around 500 billion Chilean Pesos for Chiloe and Aysen, among others. The figures indicate that Latin America is, in general, one of the unsafe regions in the World for tourism. Fortunately, this is not a general rule. 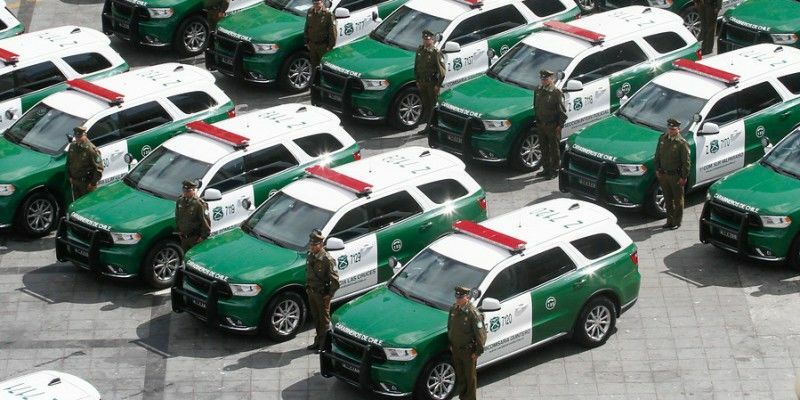 There are countries that make the difference in this regard, for example Argentina, Uruguay, Bolivia, Costa Rica, are places where it is not necessary to take extraordinary precautions to visit them. In a similar direction goes Chile, considered the safest country in Latin America. Even so, it is necessary to take some precautions that would normally be taken in any country, such as avoiding faraway neighborhoods in large cities or being careful in the historical centers of these, you could become a victim of theft. The percentage of robbery with violence is low. The Undersecretary of Tourism, Javiera Montes, states that "for the development of the industry it is very important the security of tourists and particularly the perception they have on their travel experience. In this sense, Chile has a great competitive advantage as an international destination by being and being perceived as a safe place". Thefts are more frequent when the malefactor realizes that the victim is distracted. Avoid showing off valuable goods such as jewelry, electronic devices, high-value cameras, etc. In your outings take only the essential documentation. Watch your belongings, do not abandon them, especially in crowded places like Restaurants, etc. Carry your purse or backpack always in view, crossed in front of your body. Be careful when using Public Transportation in large cities. Do not leave valuables in vehicles. Avoid walking through deserted streets. Exchange your money only at authorized Money Exchange points. Beyond the recommendations, the Chilean tourism industry recognizes that although it can be improved, the security conditions are good and stand out in relation to other countries in the region. In a statement to Emol.com, Dirk Zandee, Country Manager of Despegar.com Chile, said that from the perspective of the company, which operates in twenty Latin American countries, "we can affirm that Chile is perceived as a very safe country for tourism, with attractive destinations from North to South that do not represent risks for visitors ". He added that, in general, "foreign tourists show strong confidence when traveling to Chile, and recent figures show that, according to the Asociacion Chilena de Empresas de Turismo (Achet), our country expected to receive, closing the year 2017, 6.7 million foreign tourists, which would leave Chile among the Latin American countries that attract the greatest number of international visitors, clearly interest in traveling to Chile would decline if the country were considered unsafe" he said. 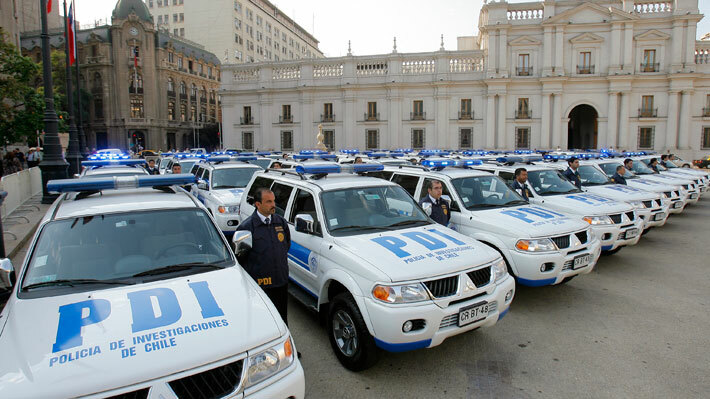 139 Informacion Policial (Police Information, telephones and location of police units, state of roads, street location and other queries in charge of Carabineros de Chile). "Dientes de Navarino" Mountains in the background. 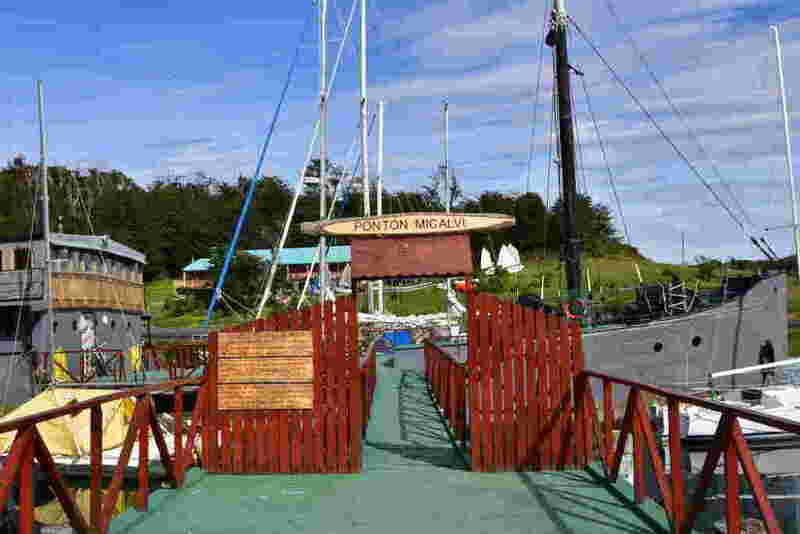 As of March 2019, the settlement, Port and Naval Base of Puerto Williams will no longer be considered a town and becomes to be recognized as a city. This thanks to a redefinition of the INE (National Statistics Institute of Chile), which will consider as "city" the urban centers that have more than 5,000 inhabitants or have the status of regional or provincial capital. It is worth noting that "Williams", with a little less than 3,000 people is the capital of the Chilean Antarctic Province. 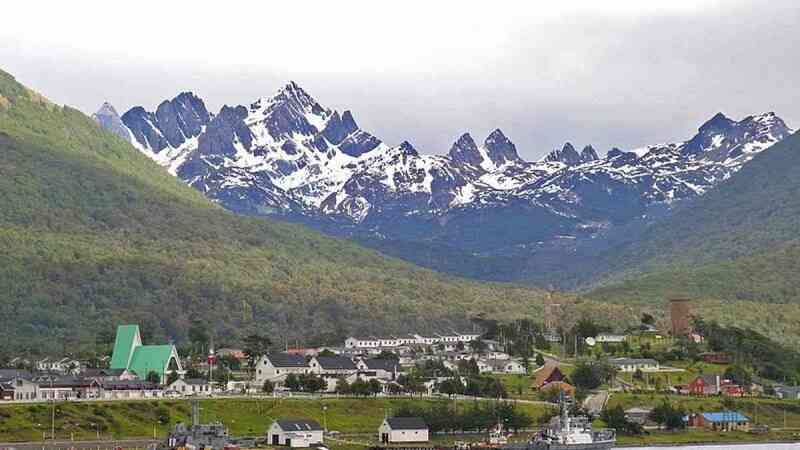 It means that Puerto Williams, because of the change of status and its Coordinates 54° 56'S 67° 37'W will officially be considered the southernmost city in the World. 10 kilometers North is situated the tourist Argentine city of Ushuaia, which until now had that condition. This is of tremendous importance for the new Chilean city and, in general, for the Region of Magallanes and Antarctica, since tourism is one of the mainstays of the regional and national economy. According to Jose Soto Passeck, director of the local Chamber of Tourism, "It was always commented that Puerto Williams was not a city, but a town, and looked tiny compared to Ushuaia. From now on, we are going to take charge of this tremendous title, which seemed distant and unreachable." By plane: There is a regular service by Aerovias DAP departing from Presidente Carlos Ibañez del Campo Airport in Punta Arenas, daily in high season and three times a week in low season. By sea: Every Wednesday, from the Tres Puentes Ferry Terminal in Punta Arenas, a ship leaves to Puerto Williams. The voyage lasts approximately 36 hours. The mere fact of being located in one of the World's most remote locations, makes Puerto Williams an interesting place to visit. The nearby mountains and Glaciers and to the South the famous Cape Horn, marking the end of the Americas, are also great attractions. But although small, the city has its own charms and interesting places to tour. Museo Martin Gusinde (Martin Gusinde Anthropological Museum), in the World's southernmost Museum, you can learn about the life of the Yaganes and Selknam natives, extinct races that inhabited the cold islands of Navarino and Tierra del Fuego (Land of Fire). Currently remodeled, it was built in 1974 and owes its name to the Austrian anthropologist and priest Martin Gusinde (1886- 1969), who worked with the Yaganes and Selknam between 1918 and 1924. Omora Ethno- Botanical Park, wild garden and protected area of 1000 hectares, located in the North of Navarino Island, South shore of the Beagle Channel. Omora carries out scientific research, educational and biocultural conservation activities in the far South of Chile. The name Omora of the park comes from the Yagana word for the Ruby Hummingbird, the southernmost species of hummingbird in the World. Dientes de Navarino Trekking Circuit, the World's southernmost Trekking Circuit, the best season is Summer, surrounding the mountain chain whose summits exceed 1000 mt. altitude, for those who enjoy trekking, it is a must-see place. The route of 4- 5 days duration, offers an impressive mountain landscape, snow-capped peaks, Magellanic subpolar forests, frozen lagoons, rock slopes and impressive views of the Beagle Channel and the southern area of the island. 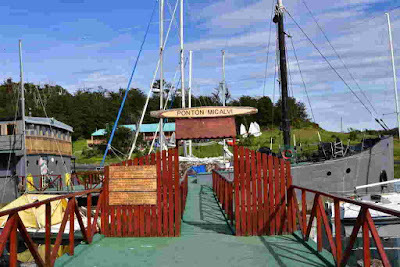 Club de Yates "Micalvi" ("Micalvi" Yacht Club), anchored in Puerto Williams in 1961, the old and legendary cargo ship "Micalvi", belonging to the Chilean Navy, was declared a Naval Museum. However, in 1983 it began to operate as a Nautical Club, where today and every year Yachts coming from all over the World dock before starting their voyage through the Beagle Channel, Cape Horn and Antarctica. The old 80-meter-long steamer is the main meeting place for yachtsmen and women from around the world who challenge the fury of the Southern Seas.